The sleeve of the jacket finishes right on the wrist, allowing about half an inch (1-1.5cm) of shirt cuff to show – it’s a rule of thumb that’s timeless. 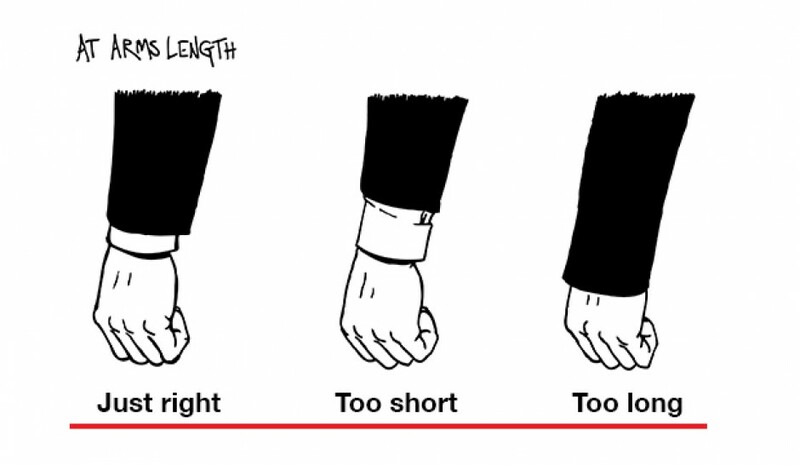 The sleeve stops well above the wrist and as a result there is a lot of shirt showing. People might think you’re wearing your little brother’s jacket. The sleeve of the jacket is too long and obscure the shirt sleeve entirely. Remember; sleeves are for arms, gloves are for hands.